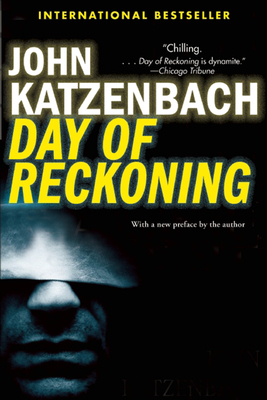 John Katzenbach's third novel, now back in print, is the spellbinding story of a family in jeopardy and what happens when that family is pushed to the brink. Megan and Duncan Richards are no longer the radical activists they were in 1968. He's a banker, and she works in real estate. They have a fine house and three kids they adore. Their youth is safely stashed away until the day Duncan answers his office phone and gets the message he's been dreading from the woman he's spent two decades trying to forget. She called herself Tanya. In 1968, she was the beautiful, charismatic leader of northern California's radical Phoenix Brigade. She was the one who had assured Duncan and Megan that no one would be hurt in the robbery she'd so brilliantly orchestrated, but when it turned into a slaughter and nearly everyone involved was captured or killed, she laid the blame on them. The Richardses escaped. But now, after eighteen years in prison, Tanya herself is free again, poised to avenge her version of what happened on that blood-drenched day so long ago. John Katzenbach is the internationally bestselling author of thirteen novels, including What Comes Next, The Shadow Man, and the New York Times bestseller The Traveler. Three of his novels were made into films, including Hart's War starring Bruce Willis and Just Cause starring Sean Connery. His most recent novel is Red 1-2-3. Katzenbach was a criminal court reporter for the Miami Herald and Miami News. He now lives in western Massachusetts.